When heading to trial and preparing for voir dire, it’s important to remember that, despite the common reference to jury selection, the process is truly one of jury de-selection. In reality, the process is not about finding the people who are the best for us and choosing them to be on the jury. In fact, once our best jurors become identified – whether by us or by the other side − the most likely outcome is that they will be challenged and removed. Rather than try to find jurors sympathetic to your cause, the more effective use of voir dire time is to identify those potential jurors who have had life experiences, or hold attitudes and opinions that would make it difficult or impossible to see the case from your point of view. The only way to do this is to get the potential jurors talking. The more you are talking during voir dire, the less you are learning about who the potential jurors are. This all sounds fairly simple, but it is not necessarily the way that lawyers are trained to conduct jury selection, neither in law school nor in practice. There are a number of barriers to effective voir dire, some of which are systemic, such as time limits, en masse questioning, and judicial discretion on cause challenges, but others are in your control and can be changed for the better. This article seeks to identify unproductive methods of voir dire, and provide tools for making the most of what is almost always too short of a time to question the potential jurors. Going into jury selection there are three primary goals: 1) gathering information, 2) eliciting bias, and 3) protecting your favorable jurors from challenge by the other side. The most important part of jury selection is getting information about the potential jurors. It sounds very common sense, but I’m guessing that many of you have finished a voir dire and looked at your jury and thought about at least some of them, “I don’t know anything about them.” It happens, and the reason is fatigue. Jury selection can be long and tedious which can result in less effective questioning as the process goes on. After you question those first 12 or 18, the tendency is to say to the new potential jurors, “Do you have anything to add?” or “Would you have answered any of my questions differently?” instead of covering the topics in depth as you had with the first group of panelists. It is important to do your best to resist questioning fatigue and ask each and every juror at least one of your key questions. Part of the information you are getting from the jurors is whether or not they have life experiences, attitudes or beliefs that would result in biases against your client and your case. Your job is to get jurors to express those biases by encouraging them to speak up honestly and letting them know that you value their responses. Only by getting the jurors to talk about their biases in their own words can you establish challenges for cause and make informed decisions about how to use your peremptory challenges. At the same time as you are eliciting biases, you want to be careful not to identify and highlight your good jurors for the other side. If time permits, you should do what you can to protect the jurors you believe are favorable from challenges for cause and, whenever possible, from peremptory challenge. If you have the chance to use a jury questionnaire, the information can help you determine what your goal with each juror will be before you start questioning. If not, you will need to formulate your plan for each juror as you learn more about them in oral voir dire and be prepared to shift your goal as you learn more. With each juror you will need to decide: is this someone you want to try and get removed for cause, someone you like and want to protect, or someone you still need more information from? In order to figure out your plan for any given juror, it’s important to find out who each person is as an individual. We all have stereotypes and superstitions about certain types of jurors, and in the stress of time-limited jury selection, it’s tempting to rely on them. The problem, of course, is that stereotypes aren’t always true and making decisions based on stereotypes about demographic characteristics can not only get you in trouble with Batson challenges, but you can also end up keeping someone who is bad for your case or dismissing someone who is good. It is crucially important that you get the jurors talking and then, that you really listen to what they are saying as opposed to assuming someone is going to be good or bad based on their age, gender, or the color of their skin. Another thing to consider when questioning jurors is group dynamics. Through your questioning, it’s helpful to try to get a sense of how the person will interact with others on the jury. This, of course, requires hearing from the juror in her own words, as opposed to just getting a show of hands or yes-or-no answers to closed-ended questions. Assessing group dynamics is really hard when time is limited. If you don’t get a chance to talk to everyone, think about what the juror does for a living, whether or not they have prior jury service or other legal experience. These considerations can help you decide if the person is going to be more of a leader or a follower in the group. You may have a pretty good idea of some of the people you don’t like and don’t want to keep early on, because of their profession or other responses to judicial questioning, but for the most part, you will be the one who is going to have to elicit any potential biases from the jurors. I also know that this goes against your natural instinct as an advocate. No one likes to hear bad news or negative opinions about oneself or one’s client and case but this is the one and only chance you have to talk to the jury and get the bad out in the open. Rather you hear it in the courtroom than learn later that it surfaced in the deliberation room. And, the only way you are going to get challenges for cause is if you encourage the jurors to express their biases in their own words. The more they say, the harder it is for the other side to effectively rehabilitate them. “preemptively” rehabilitate before the defense begins their questioning. Another tactic I like to suggest is what I call “throwing off the scent” or misdirection. This works best when you have the benefit of a jury questionnaire. There may be a juror that you like, but there are one or two answers that aren’t great for you. In your follow-up, focus on those “bad” answers instead of the good ones. This may lead the other side to think that you don’t like this juror, which increases the chance that they will leave them on. What are the most common mistakes attorneys make in conducting oral voir dire? There are some jury selection styles out there that are counterproductive to the goals of information gathering and eliciting bias. These include 1) trying to ingratiate yourself to the jury, 2) attempting to “educate” them as to the law or facts and 3) arguing with them over their responses. The primary problem with all of these tactics is that they waste valuable time which limits your ability to get information about the people who will be deciding your case. A secondary issue is that, we know from post-trial interviews that some jurors find it annoying when you are engaging in these practices. When I talk about ingratiation I mean spending time trying to get the jurors to like you and “bond” with you and/or your client. Now, this is not to say that you should treat jurors rudely or be a jerk, but the reality is when you try to be too chummy with jurors, or go on and on about how grateful we are for their attendance and how important they are to the system and to justice, or spend a lot of time talking about yourself and how similar you are to the jurors in an attempt to “humanize” yourself; it can backfire. Why? Some jurors tell us that they feel like it’s manipulative, which fits with the preconceived notion many people have about trial attorneys. Other times you can be seen as wasting time – both the jurors’ and the Court’s. Introduce yourself, briefly acknowledge that it can be difficult to talk in a group setting, and if you are nervous too, it’s OK to say so. Then get started with the questioning. If the judge has not already done so, you can tell jurors that there are no right or wrong answers, just honest ones, and let them know that if they wish, they can discuss matters in a more private setting. The desire to “educate” the panel about the law and your case themes, and to preview what you think you can prove is deeply engrained in most attorneys, but it’s also the biggest time waster and something you cannot afford to do, especially if you find yourself in a situation where you have 20 or 30 minutes to talk to 18 people. Why is trying to “educate” jurors during voir dire counterproductive? The first reason is that it does nothing to further your primary goal in jury selection, which is getting information about the potential jurors so you know who you have to strike. Time constraints are the primary reason I argue against doing education in jury selection. You can spend your 30 minutes talking about the burden of proof or how to judge the credibility of an expert, or you can find out that this person doesn’t believe in the concept of emotional distress damages, or that they think it’s not fair to hold an employer responsible for the actions of their employees, for example. The second reason education is not a valuable use of your time is that it doesn’t really work – at least not in the context of voir dire before the jurors really know anything about the facts and evidence and when your credibility is, frankly, at its lowest. Attitude formation is complex and often illogical. People believe what they believe and with relatively few exceptions hearing from you, whom they have never met before and are probably at least somewhat suspicious of, is not going to change their opinion if they already have one. It’s much more valuable for you to spend time finding out about life experiences and what people think and then consider how each person – as they sit here now – is likely to react to the issues in your case. Arguing goes along with “education” but is much more detrimental to the process. By arguing, I mean trying to convince a juror that his or her beliefs are wrong and providing them with all the reasons why this is so. This is the “cross-examination” style of jury selection, and it is painful to watch. When an attorney argues with a juror, they send the message that they don’t want to hear what the panel members really think, especially if is detrimental to the attorney’s case. Arguing has a definite “chilling” effect on responses. People who are already nervous or reluctant to speak up will now be determined to keep quiet. The juror you argued with may feel challenged and go on and on, wasting the already too short amount of time you have to talk with everyone else. Q You’ve told us you’re generally opposed to civil lawsuits; you feel strongly that jury verdicts are too high and are concerned about frivolous lawsuits. Is that something you’ve derived from experiences in your past or just from what you’ve heard in the media? Q Wouldn’t you agree that not everything that’s reported in the media is true, and, in fact, it’s often just plain wrong? Q And, would you agree that there are also frivolous defenses? And that sometimes awards are too low and those aren’t the things that necessarily get reported in the media? Q You know in a real trial, it’s not like what you may have seen on television. And you don’t know anything about my client or this case, right? You haven’t heard any evidence? Q So you have no reason to believe that this case is frivolous, isn’t that right? Q You’ve told us you you’re generally opposed to civil lawsuits, you feel strongly that jury verdicts are too high and are concerned about frivolous lawsuits. It sounds to me like because of your strongly held beliefs and opinions, you may have difficulty being entirely impartial on a case like this one where we are suing for substantial money damages. Is that fair to say? The way you formulate your questions impacts the response you are likely to get. Answers to closed-ended and leading questions are less helpful than questions designed to get the jurors talking and thinking. Try to avoid the use of leading questions unless you are trying to establish a challenge for cause. Leading questions inhibit the goal of information gathering because they suggest the proper answer. A yes or no answer to a leading question tells you little about the individual. Q The judge will instruct you that we don’t have to prove intentional conduct on the part of the defendant. Will you promise to follow the Court’s instruction? This is a question that solicits no information whatsoever. It suggests the right answer, and does not even “educate” because there is no context and people are not yet invested in being jurors in the case. The only time I would advocate using this kind of approach is to rehabilitate a juror who is a potential cause juror for the other side. Unfortunately, on more than one occasion I’ve seen attorneys accidentally “rehabilitate” terrible jurors by throwing a “follow the law” type question at someone who they had already established for cause. What’s a better way to ask? Q Who here feels like we should have to show that the defendant intended to cause harm or intentionally did something wrong before they could find negligence? Why? Q Some people think that if the defendant didn’t mean to cause harm or didn’t act intentionally, they wouldn’t feel right about holding them responsible. Who shares that view? precondition jurors to your version of events. Q Do you understand that we only have to prove our case by a preponderance of the evidence, not beyond a reasonable doubt? What does the answer to this question tell you? I suggest that 99.9 percent of people say “yes” to a question that starts with “Do you understand…” regardless of what comes after it. This one is a throwaway. How could you ask it better? Q The judge has told you that the burden of proof in a civil case is lower than in criminal cases; that we only have to prove that something is more likely true than not true instead of proof beyond a reasonable doubt. What do you think about that? Q Some people think that burden is too low, or that we should have to show more than that when asking for substantial money damages. Who feels the same way? Again, introduce the concept and see what people think. If you don’t get any answers, follow up with a more specific, “some people think” prompt. This type of wording suggests that the answer is common, so it’s OK for the juror to share the opinion. Q Has anyone here or anyone close to you ever felt they were treated unfairly on the job? A My daughter was sexually harassed at work and ended up quitting as a result. When someone shares something that was obviously painful or difficult, even if it is someone you don’t want to highlight or an experience that you think would be detrimental to your case, be a human being and acknowledge what they are telling you. An appropriate response would be, “I’m sorry to hear that. Do you feel comfortable telling us a little more about that or would you prefer to talk privately?” Or, if you are short on time and don’t need or want follow-up because you already know what you plan to do with this juror a simple, “I’m sorry she went through that, thank you for sharing. Anyone else?” would be better than just acting as if the answer hadn’t been given. (1) Areas where bias is common or widespread enough that at least some of the potential jurors are likely to readily acknowledge having opinions or beliefs that are prejudicial. One example in civil cases is a pro-management bias or problems with emotional distress damages. (2) The other areas to explore are those where the biases could be so damaging to the case that even though there may be very few jurors who have had such experiences, the issues must be touched on in voir dire because having even one juror with the experience or attitude would be catastrophic for the case. For example, in an auto case someone who has been responsible for causing a similar collision or injury, or in a medical case someone who has been treated by the defendant doctor or hospital. Once you’ve brainstormed that list, come up with the two or three areas that you are most concerned about and ask yourself what experiences, attitudes and beliefs about these issues are likely to be held in the jury pool. Q Who believes that jury verdicts are too high in this country? Q Who thinks there are too many lawsuits these days? Are these good questions? No. These days these questions highlight the wrong group of jurors. Why? Because 80 to 90 percent of people indicate some agreement with these statements – even jurors who would be fine plaintiff’s jurors in any given case. The 10 to 20 percent who disagree, however, are arguably the most pro-plaintiff people in the panel. If I were the defense, those would be my strikes. In fact, I’ve seen publications targeted to defense attorneys suggesting that they ask these traditional tort reform questions because they know they will identify pro-plaintiff people, but are not distinguishing in terms of those who are pro-defense. Q Who supports legislative reforms to place caps on the amount of money juries can award? A minority supports legislative action to cap awards, and those who do are more likely to favor the defense. Q Do you believe that some employees who make claims of discrimination do so as an excuse for their own shortcomings? Q Do you believe that most employees who make claims of discrimination do so as an excuse for their own shortcomings? The way the first question is asked, most people, even those who might be pro-plaintiff would agree. To believe that not even some people do this would be to hold a stronger pro-plaintiff perspective in an employment case. Changing the wording from “some” to “most” ensures that you identify a more extreme pro-defense response. The question becomes distinguishing in a way that is helpful to you as plaintiff’s counsel. What else to consider when formulating questions? Effective voir dire under strict time limits means you have to ask questions of the group as a whole, and then follow up with people based on their responses to the group questions. The way you word the questions can encourage responses in the otherwise intimidating group setting. It’s best to start the question with “How many of you” as opposed to “Do any of you” or “Does anyone here.” Using the words “how many” suggests that many people share the view and that it is OK to say that you do, too. You might say, “How many of you believe that if the government has approved the manufacture and sale of a product, it cannot be considered defective? While you are going to want to try and follow up with everyone who says yes, to make the most efficient use of time, start with someone who, because of their job, demeanor, or responses to other questions you think will have strong opinions about the issue. This will break the ice. Follow up with him and get him to willingly express his opinions. You might notice other jurors nodding along. Ask, “Who shares Mr. Smith’s opinion?” And ask it a few times. If you don’t have any takers, find someone you are worried about or need information from and call on them to see what their thoughts are. I’ve heard a number of people say that because medical professionals never intend to harm patients, it’s not fair or right to hold them legally responsible when things go wrong. Who here shares that view? Why is that? Then use that response to find others who feel the same way. When you are in the information-gathering phase with potential jurors, use open-ended questions to get them talking, and follow up with prompts like these which encourage the juror to expand on their answers. • Please tell me more about that. • Say some more about that. • Explain what you mean for me. • Can you give me an example? • What was your reaction? • Why do you think you feel that way? • How do you think that affected you? • What impression did that leave on you? • Why do you think that? • Tell me about an incident that comes to mind. • Is there any particular reason you feel that way? • Did something happen that helped you come to that conclusion? • Why do you think so? • Did you feel the same way he did? • How do you feel about it? Resist the urge to fill a silence or jump in and talk before the juror has had an opportunity to think about and formulate an answer to your questions. If you find that you are talking more than the jurors, you should probably rethink your approach. 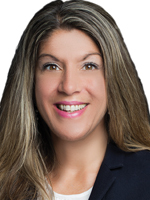 Sonia Chopra is a senior trial consultant with NJP Litigation Consulting. With a doctoral degree in psychology and law and a passion for research, Dr. Chopra applies current social science theory to a wide variety of legal issues. In her work as a consultant, she designs, conducts and analyzes focus groups and trial simulations, and assists attorneys in case analysis, theme development and jury selection. Dr. Chopra also has extensive experience working with both trial attorneys and witnesses on their communication and persuasion skills and she has interviewed hundreds of jurors following verdicts. She has served on the Board of Directors of the American Society of Trial Consultants and is the Associate Editor of the trial manual, Jurywork®: Systematic Techniques.